Q: This is a really long F.A.Q. Do I need to read all of it? A: Grab a glass of wine, tea, hot chocolate or whatever it is you like to drink, get comfy and please take the time to read this F.A.Q. There are a lot of important topics that you may not have thought about and things that can help you plan your wedding. 80% of the success of the outcome of a shoot, no matter a wedding or portrait sessions lies in these two attributes. Ready for it? Communication and planning. This F.A.Q and my Guides help communicate, set expectations and let us plan. A: I am based out of the San Francisco and the greater Bay Area. Most of our clients range from Livermore to Napa. We practically live in San Francisco. =) But we travel further so please do not hesitate to ask. Q: I sent you an email, when should I expect to hear back from you? A: Within 24 hours on Monday – Thursdays. My office hours are Monday through Thursday 10 am -5 pm. Friday, Saturday and Sunday by appointment. Q: Do you deliver every image you shoot? A: We deliver roughly 50-100 images per hour that we are shooting. A typical 8-hour wedding will end up with or around 400-800 images depending on the event, guest count and activities that are done. We do not deliver every single photo we take during the day but more a story of your day. As we try to get photos of many different people at your event we want to highlight the importance of having family formals with key individuals at a designated time on your wedding day to guarantee photos of important people. Q: When will we get to see the images from our wedding? A: 10 weeks after your wedding. I know, I know… this feels like an eternity but I need time and thank all of my clients for understanding and respecting this. We edit all our weddings ourselves. Some months and seasons have a lot more weddings/projects than others so it can take longer to get each wedding/project out. I do not rush edit or deliver photos. I edit each wedding/project in order as it was shot on my calendar. Every project has a due date in my calendar so your images are not forgotten about. Emailing me and asking about your images is just fine! I always love to hear from my couples and clients but just in advance, they won’t be ready until the due date. Q: How do we receive our images? A: As soon as the images are uploaded to the gallery, I will send you an email with a link to your gallery. Within that gallery, you will find a button that lets you download the high res images immediately and directly to any device you are using! It’s so easy and fast. You will immediately have all of your high res images for use. Q: Do you offer albums ? A: Yes. We believe in and hold value to real life tangible prints and albums. We offer high-end luxury and elegant albums for our clients. We believe that not only are albums so important to have but the quality of your album is extremely important. Our albums are made to be passed down from generation to generation. With every purchase of an album you have the option of adding up to 4 discounted parent albums. Email me with any inquiries and I’d love to fill you in on the goodies. If you continue to read the faq’s there is more information about albums as well. Q: Do you guys do destination weddings or across the state? What additional fees are associated with destination weddings? A: We would love to capture your wedding no matter where you are located. Our destination wedding photography packages are simply our standard packages plus the cost of travel and reasonable accommodations. Please email Nicole at blumberg.nicole@gmail.com for any inquiries regarding destination weddings. Q: Do you charge for mileage when you drive? A: We charge $2.00 per mile after 30 miles each way or 60 miles round trip from Richmond, Ca. Q: Do you shoot with one photographer or two at weddings? A: I have package options for both one photographer or two for weddings. Email me for the options! Q: Is this your full time job? Q: Do you provide partial day coverage on weekends? A: On weekends we start at 6 hours and go up from there. We want to make sure that clients who really want us to be their photographer have the opportunity to hire us. Even though 6 hours isn’t the ideal time to have a wedding photographer we can at least cover the base of your day for you. 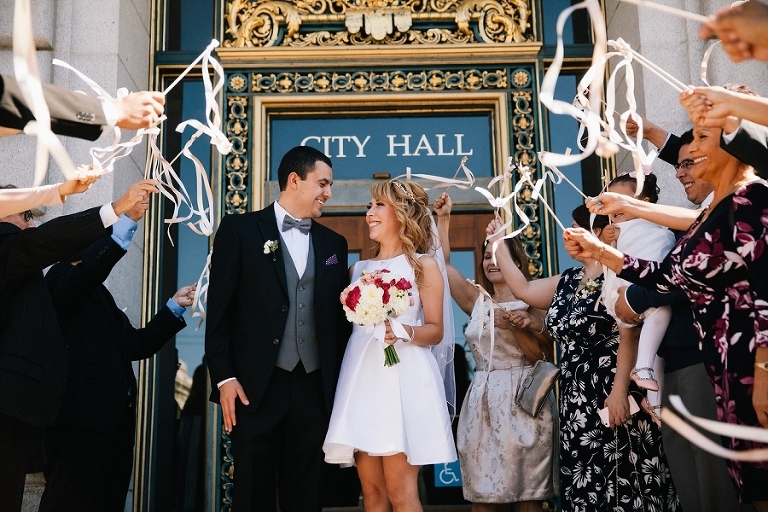 Weekday City Hall and elopements start at 1 hour and go up from there. Q: You shot my friend/family members wedding a year or two ago, your pricing is different now. Can you shoot my wedding for what you charged them or give any sort of discount for me? I, unfortunately, can’t afford your starting rate. A: When deciding to make a buying decision on something as valuable and sentimental as photography, you may encounter multiple feelings. Why? Because photography IS important and for quality, it can also become an investment, which can then arise conflictions inside if you are on a budget. Because photography has such a wide based market it is imperative that you choose a photographer that you feel fits you perfectly. There is a right photographer for every single couple whether it’s based on price, style, personality or all of the above. I take multiple factors into consideration when setting the pricing for my business. I take into account: Costs that will be associated to me to shoot weddings, my gear that needs to stay up to date and maintained, my years of experience, the quality of service and quality of products I offer, the average prices of my colleague who are in the same market and quality as me, my time, as well as supply and demand. You will find photographers who are more expensive than I am and I guarantee that you will find a photographer who is less expensive than I am. You should choose your photographer for reasons that hold value for you. My clients place a high value on photography itself and investing in it is important to them. I try to have a starting point that I feel comfortable knowing I will be fully compensated for what I give as well as lets people who have a smaller budget able to have me as their photographer. If I happen to be above a certain budget and you do value photography, I would be more than happy to refer you to a photographer who may be within a price point that works for you. There are many part-time and amateur photographers available who may be new but still have a good eye. Yet, you must be willing to take on the risk. There is often a reason a photographer is willing to work for free or cheap. As a professional photographer, I don’t recommend hiring free photographers. Q: I would like to book your 8 or 10-hour package but I do not need or want an engagement with it, can I get a discount or add extra hours to my wedding day in place of the engagement shoot? A: We charge by the hour that we will be present to work your wedding. The engagement sessions and books in an 8+ hour wedding are complimentary items we add to the packages. If you do not want this you have the option to not take advantage of the extra photo shoot or book but our rates are final. Q: What is your photography style? A: We are lifestyle wedding photographers. We aim to capture portraits/people in real-life events in an artistic manner. During couples portraits, I shoot with intention. I direct my couples by telling them what I want them to do. A lot of my direction involves movement to keep it natural looking. I want my images to look like they were moments that happened naturally rather than totally staged even though direction was involved. I may do a certain direction a few times until I get the ending result I’m looking for. Once in a while, I may ask for you to hold a direction in a static stance when I’m trying to highlight a certain detail like a ring shot. Emotions drive and inspire us, so we aim to capture emotion in most of our images. Especially laughter. I LOVE laughter. I keep my couples natural and use the nature or architecture around us to bring in any sort of drama to an image. Q: What words would you use to describe your photography? 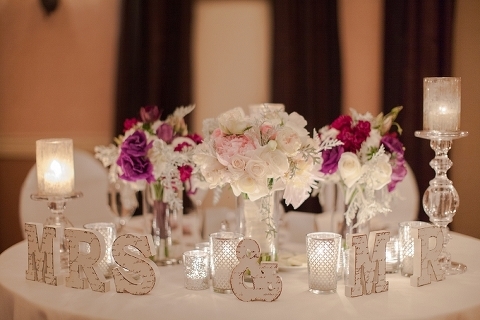 A: Romantic, elegant and timeless for fun and happy couples. Q: Every couple has a photographer who fits them, If you explained your brands couple, who are they? A: My couples tend to be in their early 30’s and up. They are career motivated and most likely already live together. They enjoy weekends together getting coffee and brunch at new cafe’s and restaurants and enjoy traveling once or twice a year to a new city. They typically love animals and may have a dog. They know what they want and care about aesthetics while still being down to earth and caring for others. They value an album’s worth of amazing heartfelt images over hundreds of mediocre images. They are a modern couple who share responsibilities. They are filled with empathy, love, and they laugh a lot. Q: Do you shoot in JPEG, or RAW? A: We shoot all of our images in full RAW format. We love to have full control over the images and with jpeg you can not edit the photos in post-production without damaging some of the pixels every time you do a new edit. Using RAW format, you get beautifully edited photos at top-notch quality. Q: I see a lot of images from weddings and engagements that you posted on your blog, will mine go up as well? A: I enjoy putting blogs up and when I have the opportunity I will post one with images from your wedding or engagement. Being that some months have more weddings than others, our schedule can get extremely busy, so the time it takes to post a blog gets delayed. I may post a teaser and then a fuller blog later. We edit every image for all clients ourselves and our time can get a very limited. We understand the excitement of seeing your photos right away, and try our hardest to get them posted for you as soon as we can. If our time is too limited our first priority will be to get the photos finished and delivered. Q: Can I opt out of having my wedding blogged or facebook’ed? A: My business thrives on being able to showcase my work and portfolio. How did you find me? How did you know you liked my work and wanted to contact me? I’m going to take a leap and say it’s it’s a 99.9% you saw my portfolio and photography before contacting me, even after hearing about me from a friend or family member. I would not be able to grow and support myself with this full-time career if I have no portfolio to share with others, who like you, are looking to hire a wedding photographer. This is something I’m very passionate about. I do respect my clients and would never post something that I wouldn’t want to be posted of myself online. If asked, I won’t tag you on facebook or use names, but I keep the copyright to the photos so I am able to use them on my blog or website. Q: Do you touch up all the images? A: Yes, every single image you receive will have been through our basic post-production editing process. We ensure that the colors and quality of your images meet our highest standards. We use the latest in digital image editing software on color calibrated displays. We never give an image un-edited. Q: What is basic post-production? We perform basic post-production on each and every delivered image at no additional charge. The goal of basic post-production is to create print-ready, professional-quality imagery that is vibrant yet natural. Color Correction: We make sure an image is corrected for temperature and tint. Exposure Correction: We adjust the exposure and brightness to ensure that an image is not too bright or too dark. Other Adjustments: We apply a variety of effects and tools to get our end product. Black and Whites: We use our judgment to determine which images should be in turned black and white based on a variety of factors. Scroll through to see examples of before and afters of my edits. Q:What is advanced Post Production? A: Advanced post-production involves much more expertise and in-depth development. In advanced edits, we are able to take things out of images like distracting objects, more in-depth editing on skin, eyes and teeth like getting rid of blemishes and whitening teeth. All advanced edits are $30 per photo. After delivery of images if there are any you would like to have extra edits such as these please email me with the image numbers from the disk that you received and what you want done. Q: Can you edit a photo with selective color (black and white with one thing in color)? A: No. We edit our photos in either all color or all black and white. You can view a preview of our work on the blog. Q: How many hours do you suggest we set aside for wedding day photos? A: I have made a link that will help with adding photography to your timeline. Please read it! Also remember, I am not a coordinator so making timelines or putting together your day isn’t my expertise. This is just what I have learned during the time I have been a wedding photographer and what works best for me. If you have a coordinator please share this link with them so they can add the appropriate times in your wedding day timeline. Bridal Party– Duration: 15 minutes. We also like to do separate bridal party photos during the preps (this can take 10 mins) to help cut down the time it takes to do them when they are all together. Unless your bridal party are hams in front of the camera they usually prefer to spend less time taking pictures and more time partying. Family Formals – Duration: 20 minutes. We really like to get through the family formals as fast as possible. To ensure that you get the maximum time to enjoy your wedding day, we suggest talking to your relatives beforehand to be prepared to start formals within ten minutes after the ceremony. We encourage our couples to keep the formals to immediate family members going no further then aunts and uncles. If our couples would like to have formals done with cousins, nieces, nephews, other extended family and friends we can gladly accommodate those during the reception. Q: I have a lot of downtime in between events on my wedding day. Will I be charged for that downtime? A: Yes, we charge half of our hourly rate per hour of “downtime”. We are not really off the clock because we are normally traveling to the second location, setting up at the second location or getting pictures that we were not able to get because of wedding day delays. Downtime doesn’t start unless there is 2- 3 hours of more of us just waiting. Q: My relative or friend has a really nice camera, can they bring it to the wedding ? A: Adam and I have no problem with family and friends bringing any kind of camera to your wedding. We want your guests to be able to take photos and enjoy themselves. However, as we don’t mind other people bringing cameras, we do ask that they do not “try to be the photographer” for the wedding and give us our space, especially during the important events of the wedding. We also ask that during portrait time that no other cameras are out while we are setting up poses and shooting. Most of the time we notice when family and friends have cameras out during this time, our subjects eyes are on their cameras and not ours that is being paid for. Having no other cameras out during this time keeps our photos from being ruined by other camera flashes and distractions that slow the process. Q: Can I make you a shot list for my wedding? A: Adam and I love to hear about a certain image that you would love to have, such as a photo that you saw and wanted to re-create or something that would be really special to the two of you. However, Adam and I do not work off of shot lists. We like to have the freedom as artists to create the photography for your wedding. Shot lists cripple that ability. Q: I have certain items that I will be wearing or in my wedding that holds significance how can we make sure to get pictures of these? A: If you have scheduled me to attend your preps, I have a link I made and will have had sent to you regarding preps to help you understand how I do them and what I need to make things go smoothly and to make sure we get the photos you want. Please read that here. During prep time is when I do the photos of details. I ask for all of your details to be placed together in one spot before I get there. This includes the dress, shoes, garter, perfume, Jewelry and so on. If there are things that hold a significance that you may not be wearing but have with you, place those items there as well. I then take the Items and stylize them for the photos. I may combine items or even take an item out of the room if there is better light somewhere else and people in the background or clutter that may devalue the photo. All of the same things go for Adam and the groom. Q: I filled out a questionnaire for our wedding that listed my V.I.P’s; how can we guarantee that we will get those people in photos on the wedding day? A: Communication. As you can tell, this is important to me. Adam and I will not have that paper in front of us on your wedding day. It is to give us an idea of what to look for on your wedding day. Everyone you invite to your wedding is important. Obviously, or they wouldn’t have been invited, right? The V.I.P. area on the questionnaire is there to make you think about who may be extra important. By all means, list the names. However, this next sentence is important. Adam and I will have no idea who these people are at your wedding. The names really don’t help us. It is your responsibility to makes sure to point out or introduce us to the people you have provided on your list on the day of your wedding. If you would rather designate another person to be in charge of this for you, please make sure they know it is their responsibility to point out or introduce us to the people on the list. If you need to give them a copy of the names please do this, because again, we will not have that paper in front of us during your wedding. We need to concentrate on your day and not be staring at a piece of paper all day long. Q: I filled out a questionnaire for our wedding that listed nontraditional shots that are really important for us to have; how can we guarantee that we will get those photos on the wedding day? A: If there is a certain photo that you have listed that is very important to have, please make sure that you have designated a time and place to get that photo on your wedding day. The designated time can be during portraits, formals, reception or whenever you feel the time and place would be the best for the photo. You must make sure that the people/things for the photo are available during the time you designate for that shot. They should be prepared beforehand that they need to be available during that time for the photo. If there is someone in charge of certain things such as animals or objects, It is your responsibility to make sure they know it is their responsibility to be there with that item during a designated time to have everything available for the shot you want. (whew, that was a long sentence). If you would like to get my opinion on where that photo would look best I’d be more than happy to give my thoughts. It’s up to you or your coordinator to make sure that everything is in place for a specific photo and I am informed before the wedding on when in the day you would like this to take place. Q: How should we do the formals (you know…the traditional shots of me with mom and dad, and so on)? 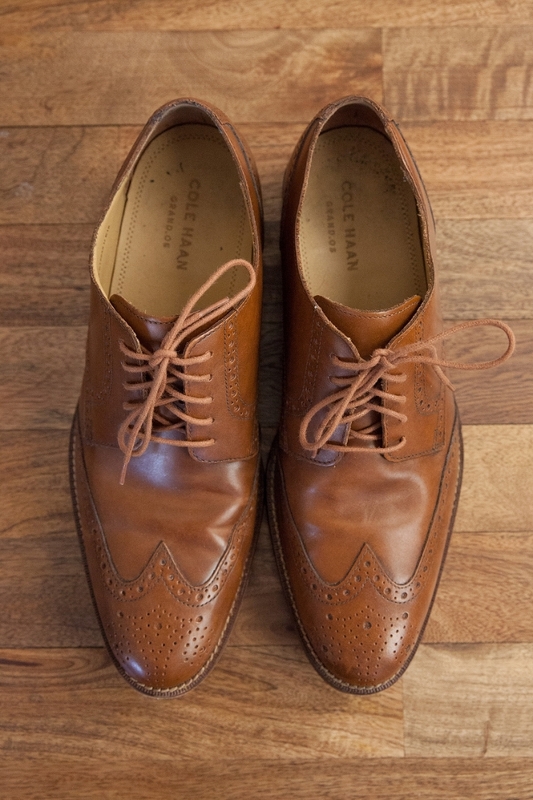 A: Formals can be taken anytime in the day. Before the ceremony, after the ceremony…whenever you want them to take place. The designated time for formals should be in the timeline provided to me before the wedding. All people who you want to be in the formals need to be informed beforehand that they are requested to be in formals at a certain time and should make themselves available and arrive on time (and stay there). If they are not told this they will disappear or not show up. Guaranteed. It’s really hard to keep a large amount of peoples attention when so much is going on and it’s such an exciting day. So be stern with them that this is when and where they need to be to keep things going in a timely matter. We don’t want Aunt Sally running off to find Cousin Joe for the photo. Now we have two people missing who will either not be in the photos or will hold up the entire process that will cut into other allotted time for photos. Making the group shots for the formals on your wedding day is your responsibility. To help you remember who should be in that photo, make lists on a paper. Please do not hand us the paper. Hand that group shot list to a family or friend to be responsible for calling out the groups (preferably someone loud and who knows most of the people). Make sure they know they have been giving this task before the wedding and they are responsible for having that paper during the time of the formals. If you need some guidance on how to make your shot list for formals please read the link that I made regarding photography and timelines. 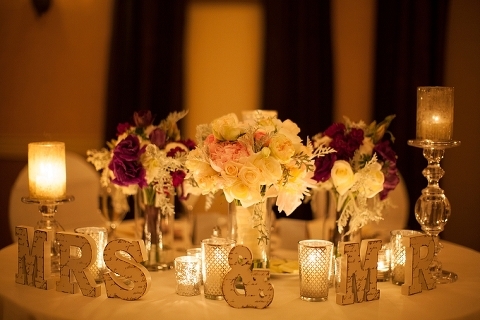 Q:I have a coordinator/ wedding planner for my wedding, how soon should I introduce you both? A: Right away, like months before the wedding! The sooner I can communicate with your coordinator or wedding planner and other hired professionals the easier it will be for me to get what I need for photography purposes. I will be able to tell them what I need to put the photography’s allotted time in the wedding day timeline. You spent a lot of money on your interior design and room decorations and want photos of those things right? Well I need to know when those things will be done getting set up and I need to have allotted time on the timeline that I can go get those photos. If I need to have everything set up by a certain time because of other conflicts during the wedding day like guests having cocktail hour in the same area as the reception, then they are the person that can make this happen for me. But this all needs to be talked about before the wedding. Q: When can we expect to see our photo’s from our engagement session? Q: When should we do our engagement session? A: It’s best to have your engagement scheduled 3-6 months before your wedding. Our calendar books up very fast so if you wait until a month or two before your wedding to book the engagement session, you may not be able to have it until after your wedding. 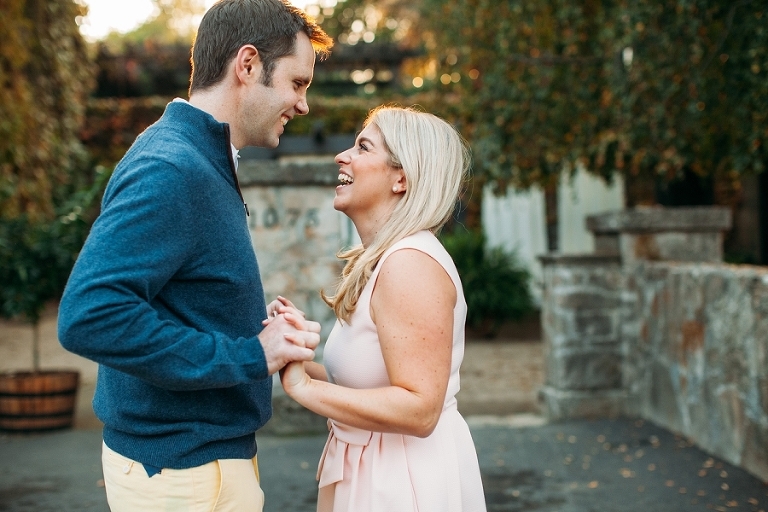 Q: Whats the best day to schedule our engagement session? 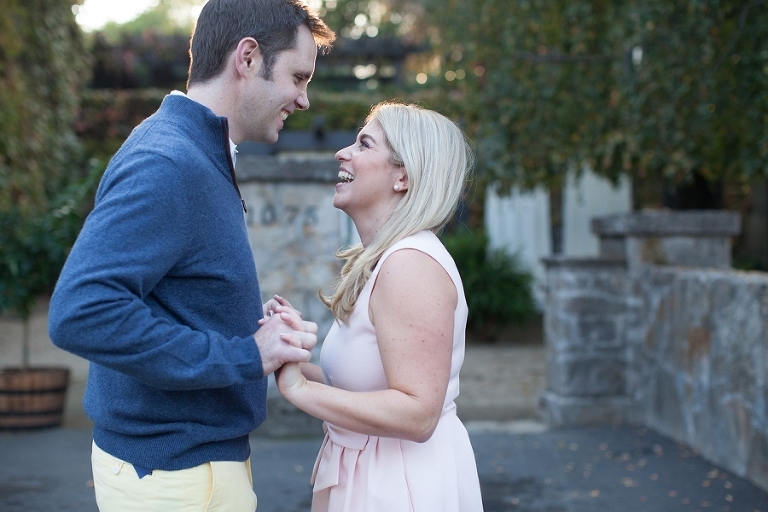 A: We typically schedule engagement sessions for Sunday – Thursday. Friday and Saturdays can be do-able but because most weddings are held on a Friday and Saturday we are not always available those days to do an engagement session. Sunday and weekdays work best. One thing to take into consideration is if you want to go to a popular sightseeing location a weekday will be less crowded than a weekend. Q: How many images do you typically deliver from an engagement session? A: Engagement sessions are 1 hour long and you would receive 60-80 of the best images. Q: Will My engagement photos look like all the other photos I have seen on your site? A: Every session I do is never the same as the last. Of course, I can use some of the same poses/direction or even the same location but one session will never be the same as another. Every session is unique due to the couple and their personalities, clothing, time of year, time of day and so on. One session can be at at same location as another but come out totally different because one couple is super outgoing and laughs a lot or likes to be silly while another couple is very reserved and shy. A pose or direction I may use with one couple might not work with another. While staying true to my style, I try to form my direction to a couple’s personality. A shy couple may have soft, calm and romantic looking photos while a more outgoing couple will have more playful and outgoing shots. One couple may be willing to go the extra mile to help make a really awesome photo like standing out on the rock in the ocean while waves are crashing, while another would prefer to stay low key on a picnic blanket. If you come in casual clothes your photos will look different then the couple who came in formal clothes. If you get photos done in fall, the scenery will look different then the session that was done in spring. I can tell both grooms to whisper into his bride’s ear but they might whisper two totally different things that will produce a different reaction from the bride. Like I said, every session is unique. Q: I feel like I get stuck in front of the camera and I make silly faces, what can I do to help me not do that? Q: Do you have any info regarding engagements and how to prepare that would help me out? A: Absolutely! I send this to every client about two weeks before our session. A: You are granted limited personal use copyright over the images from your event. You have the right to get your images printed anywhere you like, give images away to friends and family and post them on personal websites such as Facebook or your personal blog. 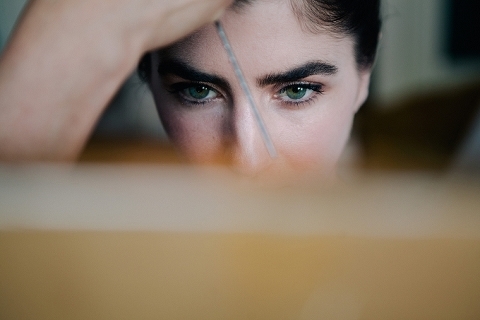 You may not sell the images for a profit or publish the images online or in magazines without the written consent of Nicole Blumberg Photography. The photos we deliver to our couples and clients are a representation of us as artists, our business, and our brand so we ask that you do not “re-edit” or alter the photos in any way and place them online. Q:Do you provide the RAW files from my engagement session and wedding day? A: No. We deliver JPEG’s. We like to deliver our work fully edited and ready to go for our couples and clients. Q: What are the at-cost prints you offer? A: At cost prints are prints that only cost what the lab charges for them. Q: How long does it take to get my album? A: After you order your album I then need 4 weeks to design it. After the 4 weeks, I can send you a proof and you may have up to 3 free image changes in the design. Additional layout changes may result in additional fees. Every image change after the 3rd one is $5.00. After you have approved the proof for the album I can then send it off to be built. It can take up to two months to get the album after it is sent in to be built. Q: What albums companies do you go through? A: We use Red Trees. Q: How many pages and images do we get in our wedding day album? A: Our albums come with 25 pages (50 sides) and 80-100 images comfortable. Q: Can I add more pages and images to my album? Q: What type of camera/equipment do you use? A: We use some of the most current and highest performing camera bodies available. Our cameras are equipped to handle the lowest of light and the fastest of speeds. Large reflectors and Softboxes, beauty dishes and multiple video lights. Q: Do you have Liability Insurance? A: Absolutely. I am fully covered. Q: Do you have a valid business license? Q: How do I reserve you for my wedding date? A: Email us or call us to set up an in-person meeting. To book us for your wedding we would need to receive a signed contract and a retainer. Q: Do you hold dates? A: The only time we will hold a date is when we have a signed contract and retainer. It’s best to book us as soon as you know you want us to be your photographer because we get calls often for the same date. Being transparent and communication is obviously important to me (if you could not tell ) =) If after our meeting I get an email from another couple who is interested in my services that have the same date as you I will send you an email letting you know. I want to be respectful of everyone time so I will wait up to 24 hours to hear from you before I respond to the other couple and set up a meeting. Q: I live out of town. Can we have a meeting via Skype? A: Yes! Just email me to set up a meeting. Q: If we cancel the wedding will we receive our deposit/retainer back? A: Unfortunately no. Deposits are used to reserve your date. Once we’ve reserved your date we do not accept new clients for your date. Often we will receive 2-3 other couples asking for your wedding date after we’ve reserved it for you that we turn away. Because there is a limited time frame in which events can be booked for the season, if your event is canceled we will have missed the opportunity to re-book that date. Q: If we change our wedding to a different date will we be able to use our deposit/retainer towards a future date? A: Yes, as long as we are available for your new wedding date. Because we would lose the date that was originally booked and most likely missed out on booking opportunists with other couples for that date there is a 10 percent charge of your package price added to your final payment. Q: Do we have to pay California tax and if I pay cash can I avoid it? A: Unfortunately, collecting in cash does not exempt a photography studio from paying California sales tax on the amount of the entire package price when a physical product is delivered, whether that product be an album, image DVD or any other physical product. However, we do offer tax-free services and packages that fall within California State Law if you would like a service only package. Q: If we go with the tax free package do we get a discount because we are not getting a product? A: No. It is your choice to opt out of paying tax, but doing so also comes with a price. You are opting out of the book. If you would like to have the book then the tax will apply but no other discounts will be given because your choosing not to pay tax.